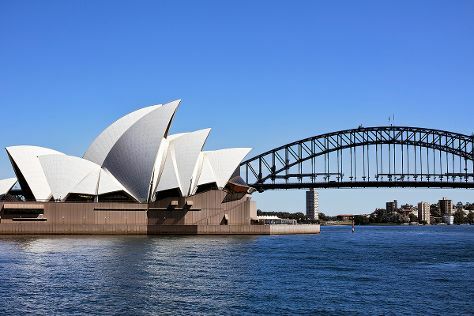 Kick off your visit on the 20th (Sat): stroll through Bondi Beach, then hike along The Opera House to the Botanic Gardens Walk, then catch a live performance at Sydney Opera House, and finally get to know the fascinating history of The Rocks. To find maps, other places to visit, traveler tips, and more tourist information, read our Sydney trip tool . Manchester, UK to Sydney is an approximately 25-hour flight. You can also do a combination of flight and train. The time zone changes from Greenwich Mean Time to Australian Eastern Standard Time (New South Wales), which is usually a 10 hour difference. Expect a bit cooler evenings in Sydney when traveling from Manchester in July, with lows around 9°C. Cap off your sightseeing on the 20th (Sat) early enough to travel to Fraser Island. On the 21st (Sun), kick back and relax at Seventy-Five Mile Beach and then contemplate the waterfront views at Lake McKenzie. Use Inspirock's suggestions to plan your Fraser Island trip and find the best activities and attractions for your vacation. Do a combination of flight, ferry, and car from Sydney to Fraser Island in 8.5 hours. Alternatively, you can do a combination of car and ferry; or do a combination of train, ferry, and car. When traveling from Sydney in July, plan for a bit warmer days in Fraser Island, with highs around 26°C, while nights are about the same with lows around 11°C. Cap off your sightseeing on the 21st (Sun) early enough to travel to Brisbane. Kick off your visit on the 22nd (Mon): take in nature's colorful creations at City Botanic Gardens, then explore and take pictures at Suncorp Stadium, and then identify plant and animal life at Lone Pine Koala Sanctuary. For more things to do, ratings, photos, and other tourist information, read Brisbane online journey planner . Traveling by combination of car and ferry from Fraser Island to Brisbane takes 8 hours. Alternatively, you can do a combination of car, ferry, and train; or do a combination of car, ferry, and bus. July in Brisbane sees daily highs of 24°C and lows of 11°C at night. Finish up your sightseeing early on the 22nd (Mon) so you can travel to Airlie Beach. Start off your visit on the 23rd (Tue): take in the pleasant sights at Bicentennial Walkway, add some adventure to your tour with a kayaking and canoeing tour, then relax and rejuvenate at some of the best spas, and finally take in the exciting artwork at Above & Below Photography Gallery. To see where to stay, photos, more things to do, and tourist information, use the Airlie Beach trip planner . You can do a combination of flight and bus from Brisbane to Airlie Beach in 5 hours. Alternatively, you can do a combination of flight and ferry; or drive. Traveling from Brisbane in July, expect somewhat warmer with lows of 20°C in Airlie Beach. Finish your sightseeing early on the 23rd (Tue) so you can travel to Cairns. On the 24th (Wed), get interesting insight from Tours. On the next day, identify plant and animal life at Australian Butterfly Sanctuary and then kick back and relax at Trinity Beach. For photos, reviews, other places to visit, and more tourist information, use the Cairns trip itinerary site . Do a combination of ferry and flight from Airlie Beach to Cairns in 5 hours. Alternatively, you can do a combination of bus and flight; or drive. While traveling from Airlie Beach, expect somewhat warmer days and about the same nights in Cairns, ranging from highs of 30°C to lows of 20°C. Finish your sightseeing early on the 25th (Thu) to allow enough time to travel back home.